AUG. 31 2012 about "Goofy's Paint 'n' Play House"
AUG. 25 2012 about Inside of "Goofy's Paint 'n' Play House"
JUL. 08 2012 Toy Story Mania! Amazing season comes in TDL & TDS! It's Halloween!! In this year, "Disney's Halloween 2012" the special event will be held at the both parks from September 09 to October 31, 2012. So, let's take a look around the parks! A casket coach come out of nowhere. It goes to the castle. The scene looked both horrible and beautiful. In this year, the column banners are interesting and little bit luscious. I'd like to listen this program to death. What a ...! I wouldn't refuse a cocktail from her. If the drink lure me to another world. After their temptation, we can reach the main photo spot. In this year, the funeral car takes beautiful ghosts to TDL. They are really attractive as I have described previously, aren't they? I needed rest from their seduction. Westernland is very peaceful Halloween decoration. The pumpkin color Cinderella Castle is mysterious. The nighttime TDS is most beautiful, you can't miss it! It's very medieval atmosphere in TDS park. Comparatively speaking, TDL's Halloween is fun ambience, TDS' is more romantic. The left street lamp from TDL, and the right one with a masque from TDS. The left colorfully decorated spider web from TDL, and the right glitter spider web from TDS. Speaking of lights, there are many fantastic illuminations in TDS. The last picture from TDS is my another blurred photo, but you can understand the nighttime TDS is really beautiful. The Amazing Halloween Costume will be coming soon!! AUG. 31 2012 about "Goofy's Paint 'n' Play House". The 44th attractions, "Goofy's Paint 'n' Play House" has opened at Toontown on 24 Augst, 2012. To be precise, this attraction "Goofy's Paint 'n' Play House" use same exterior which was once was known and familiar as "Goofy's Bounce House". The duration of the attraction is about 1 minute and half and the special paint applicators, called Toontone Splat Masters installed eights in the attraction. Therefore we understand approximately the number of queue guests from the time board. Goofy has a quite big backyard and there are nice vegetable patch. Let's explore there before the experience. First, Goofy scarecrow welcomed us. He is in the cornfield, no, it's popcorn-field! It's really Bell shaped bell peppers and squash squashes. What do you think this faucet making? It's watermelon! These watermelons really with a high water content. Did Goofy already carve the pumpkin? -No, from the seed's package, it seems Jack-o'-lanterns grow. It very convenient for this coming season. Though the patches, there are Goofy's laundry. The machine says "spaceage", though the laundry have always been to dry there. Next to Goofy's laundry device, there are a door. The door is ex-entrance of the former attraction, now was used as exit. There are some crates of the Toontone Splat Masters. A tiny corner which near the entrance, there are Goofy's certification and a magazine featured Goofy's Toontone Splat Masters renovation with various color paint cans. This is how to use poster. There are three types of the Toontone Splat Masters. Push a button type, turn a handle type, and pull a string type. Inside the house, eight Toontone Splat Masters are confronted with a wall. The wall spread before us is about 140-degree and already furnished neatly. (Actually, the standard Goofy room was projected on the front wall.) We aimed the paint cannon at them, then afterward, the room changed completely different from ordinary his room. This duration about 1 minute 30 seconds. The renovation room theme have various pattern. Each eight paint cannon have different color, however, it is little difficult to find own shots. I feel that there are two factors to prevent to find own shoot easily. One is the wall has colored (projected the furniture and wallpaper) and it changes various patterns during the playtime. Second factor is the paint spots on the wall had gone shortly. We splashed some paints all over the room and made a room messy, however, the renovation room was very clean, beautiful, and spotlessly. All our paints had gone completely. You will have a better understanding how I feel after experiencing this, it was "incomprehensible". I know what Toontone Splat Masters is like. But spluttered the paint to make-over, then the renovation was finished without lasting impact of the paint. It's really incomprehensible. I understand now Eddie Valiant's "Toons..." feeling. I realized that there is still a major gap between we, human and Toons. This attraction tells us about it. Inside of "Gag Factory / Toontown Five & Dime" the biggest merchandise shop in Toontown displayed many Goofy items now. 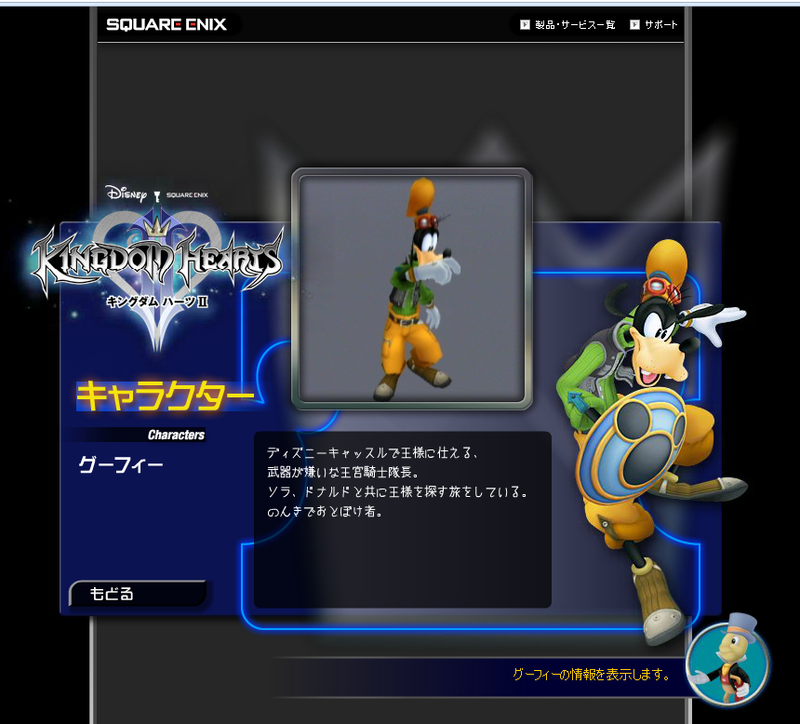 Did you know a shield which Goofy use in Kingdom Hearts the video game series appeared after the renovation? The shield is split-second appearance, so please watch carefully about 1:08. This wonderful notice from gatordelt5 from America. gatordelt5-san, thank you very much for sharing of it! Today, 24 Augst, 2012, the new attraction "Goofy's Paint 'n' Play House" opened at Toontown. Here are the official introduction of the attraction. "Goofy's Paint 'n' Play House, will open on August 24 at Tokyo DisneylandR Park. House lets guests have fun helping Goofy redecorate his room in a unique and toony fashion with what seems like real paint. Groups of guests work together to colorfully paint a room in Goofy's house using special paint applicators, called Toontone Splat Masters. These tools are easy to use: guests simply aim at the wall or furniture they want to color and activate the applicators. The attraction features beach, jungle and other remodeling themes, as well as various types of Toontone Splat Masters, so guests can enjoy a different experience each time they visit." Phew, I'd like to upload my report. I really tired the long line for the attraction under the burning sun, therefore please enjoy some movies. I will upload more photos and the report. Just let me say this. Duration is only 1 minutes 30 seconds! And "Toontone Splat Masters" installed only 8! "Welcome to a world of tasty delights! Mickey and his friends have just returned from a world cruise and they've brought back treats from many different countries. Mickey has invited Guests to the Dockside Stage, which is set up to look like a giant dining table, where that famous host, Lumiere is waiting. Here from uranezu, the very first "A Table is Waiting" show was performed in 2008. In that time, "Disney's A La Carte" the special event was held in TDS. The show is one of the special contents of the event. The show have returned in 2011. My favorite points of the show are "Chakin-zushi girl" and "Crape girl". Their costume is very beautiful. It really looks like the food itself, but also it absolutely works as dress. Chakin-zushi is one type of sushi which wrapped sushi with thin omelette and topped with colorful various ingredients. The lotus sleeves as long as Kimono sleeves are nice. I also took a cancel greeting of this show due to rain. The greeting only 5 minutes, but you can enjoy Disney character in the show costume with raincoat. It's hilarious. Oh, they don't wear raincoat!, it's plastic wrap! Because they are food! Here are some show vids of Disney's Natsu Matsuri the summer event at TDL. I'd like to share the atmosphere and I hope you will enjoy it. "The Hot Challenge" the daytime castle show at TDL. The eight different dance teams lead by each Disney Friends compete in the daytime preliminary rounds. This video is the 3rd round, Donald (Paradise Pop Puck.) vs. Chip & Dale (Rhythmic Beat Makers). The first part is dance lecture which is rather bore, therefore please skip 2 minutes 40 seconds. Then the show starts. "The Hot Challenge" the daytime castle show at TDL. This video is the 4th round, Queen of Hearts (Wild Wild Heart.) vs. Secret Challengers. The first part is dance lecture which is rather bore, therefore please skip 2 minutes 58 seconds. Then the show starts. "The Final" the nighttime castle show at TDL. The four winning teams from the daytime show the preliminary rounds compete in this final round. The first part is dance lecture which is rather bore, therefore please skip 2 minutes 54 seconds. Then the show starts. And I got the another shot of Genie float from Electrical Parade Dreamlights at TDL. Please enjoy Genie's spectacular changing. The hottest attraction in TDS now is "Toy Story Mania!". The most longest waiting time was four hundreds minutes on the opening day! Today, I introduce you to a miscellaneous about "Toy Story Mania!". We can find many advertisement of it. Especially, inside of the train is eye-catching. 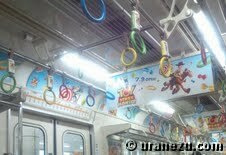 The handle of train strap is white, however, it changes colorful one with the advertisement. In Japan, taking photos and videos are not permitted from just before a 3D glasses pick up area in attraction, therefore please enjoy the model of the ride. From this exquisitely-designed model, we can understand the two rides move together on a course. Mr. & Mrs. Potato Head cushion, soft toy, drawstring pouch, cups, mobile accessories, and so on. Plastic place mat, sticker, and button are same design. But it's OK. I am geek. Of course, I got a opening pin! Speaking of merchandise, "Toy Story Mania! Challenge" is noteworthy. It's like a paid scavenger hunt. We challenged six very easy quiz about Toy Story character and Toy Story Mania! And one scavenger hunt to find a cast who has a thing mission form noted. If you clear all of them, then you can get the password. We can receive the big medal after the collect password. The medal looks like a bottle cap is very cute. And the backside of the medal has a very nice. I was skeptical about a paid game, however in this time, the reward is amazing, therefore I recommend it to you. Event Period: - AUG. 31. 2012. Sales Store: "McDuck's Department Store" or "Tower of Terror Memorabilia" in American Waterfront. Back to the "Toy Story Mania!" itself, I have a regrettable thing to say, Mr. Potato Head in TDS is also prone to breakdown. 4 days later after the official Japanese opening, Mr. Potato Head's show stage, the "TOYBOX PLAYHOUSE" was closing. Four years have passed since Mr. Potato Head who insert and remove his ear debut in America. However, it still breakable. I hope he will get well and strong soon! TDL special summer event has began. It's "Disney's Natsu Matsuri" which means very simple, "Summer Festival" in Japanese. This TDL event will run through until August 31, 2012. Decorations, merchandises and foods everything in TDL features Japanese summer festival. The yellow Japanese calligraphy on the banner is "Disney's Natsu Matsuri". The circle mark of the center on the banner is "tomoe" the Japanese abstract shape which often this design on taiko drum. 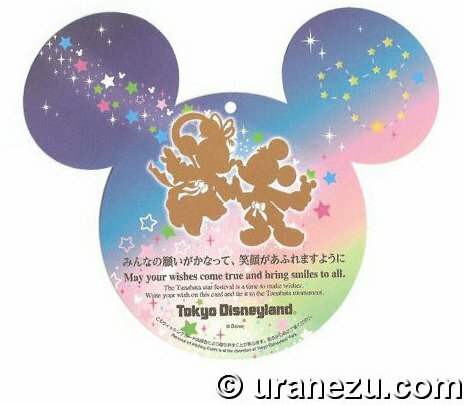 And two Japanese Fans designed as Mickey's ear. A Japanese lantern essential for summer festivals. The nighttime is very romantic. The plastic masks are very popular for kids in Japanese summer festival. And right photo is "Ramune with jelly drink" the special menu. Ramune is one of the symbols of summer or summer festival. In Japan. However, the Ramune in TDL is too expensive! I know, it with lighting souvenir plastic glass, but I think too expensive. Worthy of note among the event is "The Hot Challenge" the daytime castle show and "The Final" the nighttime castle show. In this year, simply put, the show is Disney friends' dance contest with splash. Every show, a seating in the viewing area is available only by lottery. The eight different dance teams lead by each Disney Friends compete in the daytime show, "The Hot challenge" the preliminary rounds. The preliminary matches are below. The water columns shoot up from the castle, the excitement reached fever pitch. Mickey the MC of the dance competition showed off his prowess as an entertainer. The splash of water is especially beautiful and fun in the nighttime. Even if we get soaked and the water blurred our eyes! The secret challenger was Maleficent. But, wait a moment! Does Maleficent have a big beak and fluffy white belly? Suddenly, the real Maleficent appeared on the castle balcony. Of course, she was angry at him, then she cursed the stage with an intense flame. The stage got crazy because of the fire and water. I couldn't recall about the show plot because I was too excited. The big fire column had a tremendous impact. We could feel the heat when it launched. Mickey and Minnie also enjoy the "Disney's Natsu Matsuri". Please come visit TDL, and enjoy Natsu Matsuri! I was lucky to get the inside of "Toy Story Mania!" at a sneak preview. I'd like to share my some pictures and movie of the new attraction. I hope you enjoy it. The above photos from outside queue line of the attraction. Here are the inside of the queue line. The left route is stand-by line, and the right is fastpass queue. The left picture from stand-by line. The right one of the Fastpass' queue wall. Enter the giant block gate, there are many colorful toys. A Familiar toys from inside of the queue. It's very interensting to see, so the long waiting time is not so bad. The queue decorated with the vari-coloured flags. The rope of the flag is yo-yo string! If you can see the giant door, then you are almost the ride stand. Here are the 3D glasses zone just before the ride. Unfortunately, guests can't take any pictures and videos from the 3D glasses area. Of course until the riding. WDW or DL is not prohibited, isn't it? So, I only share this video from "Toy Story Mania!" the new attraction. At last, the "Toy Story Mania!" the new attraction in TDS is coming! The opening date is coming this Monday, 9 July 2012. Before the sneak peek at "Toy Story Mania!" in TDS, I'd like you to enjoy the construction timeline once again. The blind sheet get thinner! Good Bye the blind sheet! The area finally opened for sneak peek! Tanabata the festival is now coming in TDL. Disney's Star Festival is being held in TDL from JUL 1st through 7th. This annual event related with a Tanabata the Japanese star festival. There are typical Tanabata decoration, bamboo wishing tree in World Bazaar in every year. In Japan, we celebrate this day by writing wish and hang it on the bamboo. Mickey and Donald dressed as Hikoboshi, and Minnie and Daisy as Orihime. The below pictures are wishing card at TDL instead of the Tanzaku the small rectangle paper. Let's sneak a peek at the FAB 5' plus Daisy's wishing card hang on the main bamboo tree. Their cards are very high avobe, therefore people who have a good eyes only can read what they are writing. Mickey is truly a leader. Minnie always loves smiles. Donald, you are always Donald. I enjoy your wishing card every year. Daisy's is romantic. Goofy's wish represent a parent and child, it's warm. Pluto, you are gifted dog! I can't write a star shape like you! Only I can pentagram as a star. Do you want to see their wishing cards in 2011? Here are the event design and the pin in 2012. "Disney's Easter Wonderland" is still going on in TDL. This event has started in April and continue until the end of June. During the special event, we enjoyed the egg hunt. A hiding place and reward of an expert course the one of the egg hunt was changed every month. The expert's rule is searching for the egg with a short description of hiding place and a picture of a tiny fraction of it. The easter event in TDL was end, so I report the June's egg hunt without worry of the spoiler. The hint was "Under the big white phial in fancy New Orleans". It's cute, but it's difficult to recognise as a perfume bottle although "EAU DE COLOGNE" on it. Anyway, this egg from a window of "La Petite Parfumerie" the shop of fragrance products in Adventureland. "The third of severalfold roof above a torch." The Tiki taste egg from a tower of "The Enchanted Tiki Room: Stitch Presents Aloha E Komo Mai!". "Inside the assay office near the mine." This nugget egg in the shack near the one of the exit of "Big Thunder Mountain" in Westernland. "It's taking a break on the rock near the floating mailbox." This adorable frog egg from the "Donald's Boat" the walk-through attraction in Toontown. "Let's get a pole position! yellow→blue→red→orange, then..."
This round shape car egg from the queue line of "Grand Circuit Raceway" in Tomorrowland. After the searching, I got a charm with holder as a reward. In June the last month of the event, the charm was pink gold Minnie-shape egg design. In this year, 2012, the Egg Hunt expert course was fun. I enjoyed very much than last year's. I hope the egg hunt in next year will more surprise me! Do you want to go and check again of each monthes eggs in 2012? Go 2012 Egg Hunt expert course in April. Go 2012 Egg Hunt expert course in May.